fair trade, against animal testing, protecting the planet, defending human rights and activating self esteem...what brand could do better? The Body Shop sits on the corner of my local shopping centre, probably displaying the prettiest and most inviting products in the windows. To start with, I thought they were just another brand with expensive price tags and products that were average. Clearly, I was a little more than wrong. 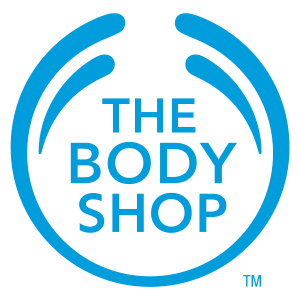 The Body Shop go to extents to make sure all their products are quite nearly perfect. They're against animal testing since the early 1990's, protecting the planet by recycling, using fair trade ingredients, whilst still staying true to the meaning and development of their products. These five mini soaps in scents such as Lime, Lemon, Strawberry, Vanilla and Orange were...amazing. Not only do they look cute, but they smell gorgeous! This pack-of-5 was half price, too--which made an even better bargain! Plus, who could resist animal shaped soaps? Not me. I had read about this conditioner for so long before I had bought it, good things, mainly. How it detangled hair and had little real pieces of banana inside. It definitely lived up to my expectations, especially after using more than just the occasional once. My hair is long-long and wavy, so this product was much needed in that department. It's a lovely change from the usual line of conditioners I use like Aussie or Tresemme, and I'd definitely repurchase if TBS has another sale to knock some £££ off the price tag. 250ml bottles are my enemies. In hair products, they don't last at all very long. But that's all changed thanks to these little products, and the many facial products to come. Firstly, "Passion Fruit Cleanser" is up. This was the very first TBS product I used on my skin, and had almost the same reaction as when I tried the hair products...this leaves my skin so clean! I have combination skin, and this kept everything in the "right" balance, though still using twice daily, or as I do, switching from product to product whenever I feel like it. It's basically your average cleanser with an oomph. That oomph being superpowers, the ability to clean your skin without the need of toner. NEXT: "Cucumber Cleansing Milk" - this is...indescribable. It's a formula that you almost moisturise into the skin, then tissue off, not wash. At first, I had doubts because I'd never used a cleansing milk, but I was totally swayed by the fact that this cleanser was the most wonderful thing I'd ever smelt. It also didn't do a bad job on my skin, either. Even though it had the looks of a moisturiser, it left my skin feeling refreshed and clean. NEXT: "Refreshing Facial Water" - the first word that came to mind when I first read about this product was...awkward. I had no idea how this would refresh my face, or how the rose water and tea tree oil would make a difference. But Rose Water is known for it's healing presence on the skin, and tea tree being a big blemish blaster, this water and I have gotten on like a house on fire ever since. yay. have a great weekend, and stay beautiful! what am I listening to at the moment?